For over 30 years, this firm, headquartered in West Palm Beach, has provided representation to help the victims of accidents who have suffered serious injury or death caused by the carelessness of others. I am personally involved in each client’s matter. Since I have worked for the insurance industry defending personal injury claims, I have an understanding for how your claim will be evaluated and defended. I have had the privilege of representing clients in the trial courts of Florida from the Florida Panhandle to Miami-Dade County. As the founding partner of James D. Wilkerson, JR. P. A. I provide individualized legal help for those who have suffered injury or have a family member who has died as the result of the carelessness of another. Being personally involved in each case I believe insures that you receive the personal attention that your legal matter deserves. Working as a team, my firm, located in West Palm Beach, includes my long time paralegal Ms. Grace Smith. Ms. Smith is a former insurance claim’s adjuster and has served as the firm’s personal injury paralegal for more than 15 years. Mr. Wilkerson will handle your case based on a team approach utilizing the skills and experience of his paralegal who was born in Cuba and speaks fluent Spanish. In addition, as a business owner I offer my experience in matters involving the litigation of commercial disputes. I have represented individuals in business related disputes involving partnerships, shareholder disputes, insurance related disputes, or breach of contracts. My firm provides these services in West Palm Beach and its surrounding communities. I have been AV rated by Martindale Hubbell for over 15 years. AV rating is the highest rating for legal ability and ethical conduct given by Martindale-Hubbell, a national attorney rating organization. 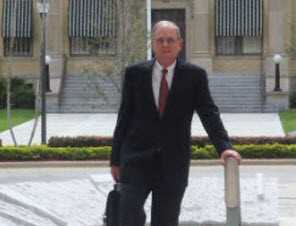 I have held the designation as a Board Certified Civil Trial Lawyer by the Florida Bar for over 20 years. I offer a free initial no obligation personal consultation to assess your matter. I accept cases on a contingency fee basis or on an hourly basis. The firm is conveniently located in the Centurion Tower off of Palm Beach Lakes Blvd just East of Congress Avenue in West Palm Beach. You may contact us by filling out an e-mail contact form or by calling the office.